Welcome to Des Moines newest social group. We are here for the people and the fun so join us. Don't be shy, just let us know what you want to see here and what you want to do. Were still under construction so be patient and let us know whats up with you. Doesn't matter what you ride, it's that you ride, and if you don't ride, join us anyway we don't mind. As soon as we get organized, we will have patches for sale. (picture above) Please go to our Guest Book page and let us know what you think. Ok, so we make custom made jewelry. 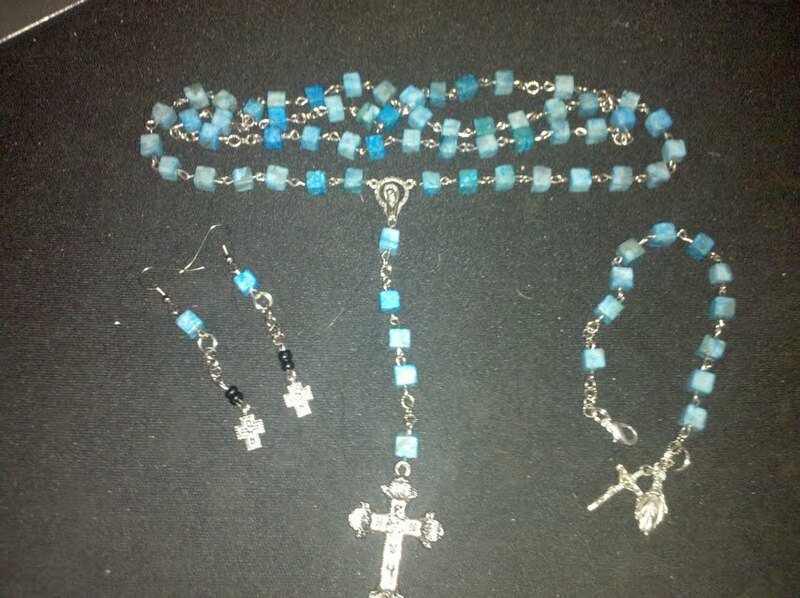 Rosary's, Prayer Bracelets, and Earrings. We are ordained ministers so every Rosary and Prayer Bracelet is blessed and comes with a certificate.Take a look at our photo album and see what you think. No two are alike! (still working on the album, just got one pic right now.) You can email us at angelriders@hotmail.com.